In Nauman’s seminal installation video work, the piece chronicles six bizarre narrative sequences, starring a clown played in perpetual loops, each clown embodying a different form: the Emmett Kelly dumb clown, the French Baroque clown, the traditional show clown, and the jester. Nauman's videos are loud and uncomfortable, both for the subject as well as the viewer, as the protagonist endures nonstop self-inflicted torture. In "Clown with Water Bucket," for example, the subject repeatedly opens a door that is booby-trapped with a bucket of water, sousing the subject time after time. While Holy Fools is not an explicitly gendered reading of Nauman's Clown Torture, Holy Fools materialized through retrospection by Viñao and three female performers, with whom the artist shares close working and nonworking relationships. In their collective journaling, Viñao's subjects recount the familiar narratives of the female experience: sexual abuse, a motherless childhood, the pressures to perform femininity. 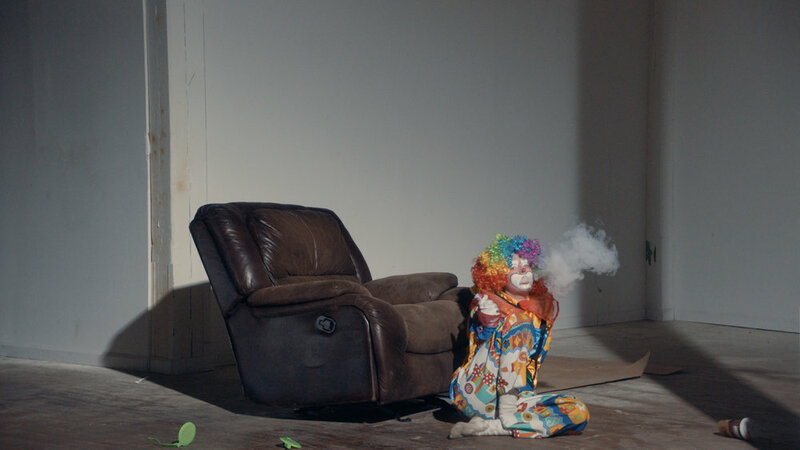 The concept of the clown embodies a mediated role for Viñao's subjects to relive these traumatic episodes. Viñao's work reexamines Nauman's piece by recasting the traditional figure of the clown in the context of the Holy Fool, defined as one who strives "with imaginary insanity to reveal the insanity of the world." 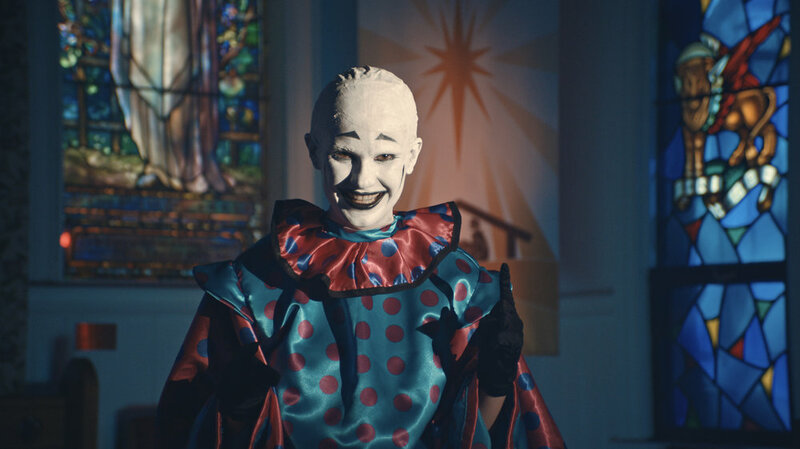 Just as the Holy Fool in its traditional role feigns madness in order to provide the public with spiritual guidance, Viñao's performers exploit the performative nature of the fool as a cathartic and liberating tool for trauma to be related to the viewer. Additionally, the therapeutic potential of exposure therapy, where one identifies the emotions or physiological arousal that accompanies a pain-inducing stimulus to break its insignia, is a central motif in Holy Fools. Starring four female subjects, each of Viñao's Holy Fools caricatures and abstracts psychological torture to investigate childhood trauma; each vignette focused on a performer's specific memory, dissociated into a word, phrase, song, or action repeated and relived by the subject. Just as in Nauman's Clown Torture, Holy Fools depicts each clown enduring their pain in perpetual loops. The cyclical nature of the work consecrates trauma and simultaneously reclaims the pain each performer relates to the word, action, or experience.